Graveside services for Alice Faye Register, age 78, of Rentz, will be held on Sunday, January 27, 2019 at 2:00 PM at Rentz City Cemetery. Reverend Greg Lowery will officiate. The family will receive friends from 5:00PM until 7:00PM on Saturday, January 26, 2019 at Townsend Brothers Funeral Home. Mrs. Register passed away on Thursday, January 24, 2019. Mrs. Register worked for many years at Rentz Bank. She retired from the Laurens County School System. 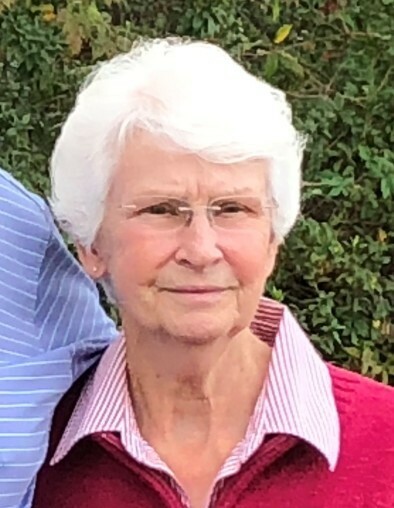 She was an avid gardener and enjoyed spending time with her family, especially her grandchildren, whom she loved very much. Mrs. Register was preceded in death by her parents, Sam and Mettie Martin. She was survived in life by her husband, Julius “Buddy” Register, of Rentz; son, Michael (Debra) Register, of Rentz; daughter, Kim (Rodney) Casteel, of Forsyth; grandson, Blake (Kristina) Register, of Rentz; granddaughters, Erin (Tyler) Register Bracewell, of Rentz, Rachel Casteel, and Jessica Casteel, both of Forsyth; great grandchildren; Maeleigh Register, Jax Bracewell, and Jeremiah Kiblinger; sister, Gail (Rick) Hounshell, of Huntsville, Alabama; brother, Sammy (Karen) Martin, of Rentz, and several nieces and nephews. The family has requested that whoever attends the service to dress casual.